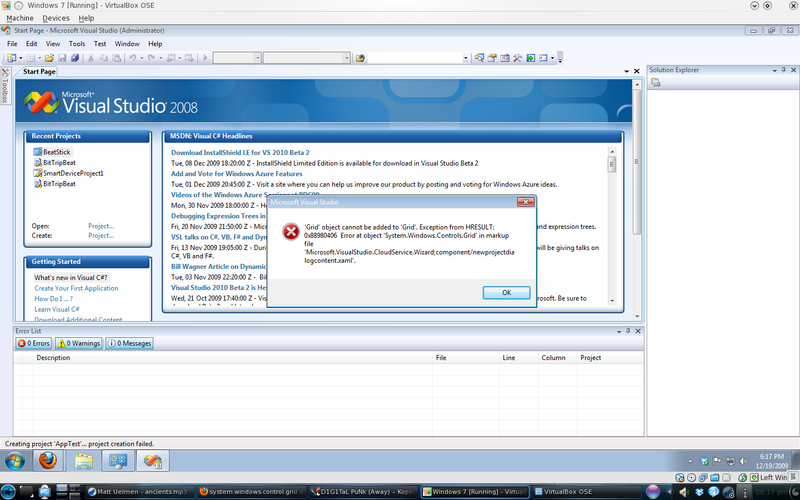 Windows Azure SDK + Visual Studio 2008 Error | Hi. I'm John. 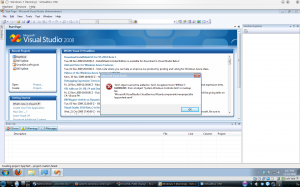 When setting up your development environment for Windows Azure, did you follow the instructions given here: http://microsoft.com/windowsazure/getstarted? More Specifically the Step that tells you to install a Hotfix for Native Debugging Improvements which is required for Visual Studio 2008.